January | 2012 | 50 Westerns From The 50s. 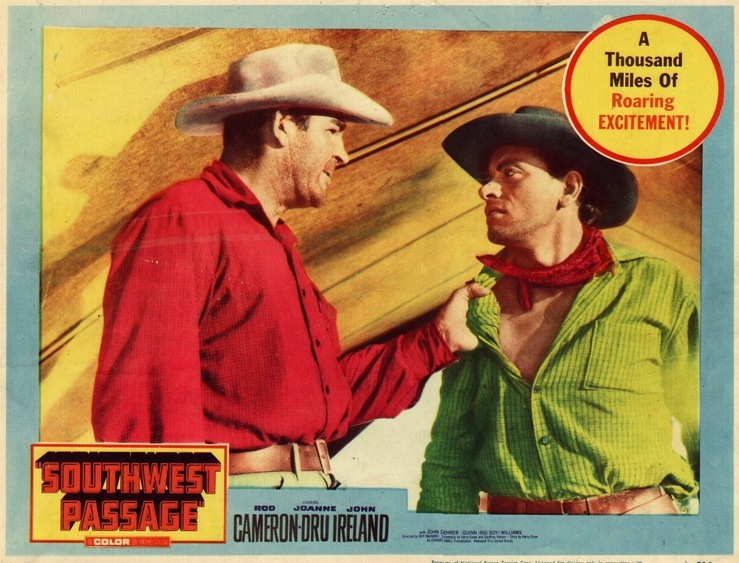 50s Westerns DVD News #75: Southwest Passage (1954). Today is Joanne Dru’s birthday. So today’s a good day to report that Southwest Passage (1954) is coming to MGM’s MOD program. No release date is listed. This Edward Small production, released through United Artists, has a great cast: Rod Cameron, Joanne Dru, John Ireland, John Dehner, Guinn “Big Boy” Williams and Morris Ankrum. It was directed by Ray Nazarro, an old hand at this sort of thing. It’s got cowboys and camels. And it was originally in 3-D (and Pathecolor). Dru and Ireland were husband and wife when Southwest Passage was released. They divorced in 1957. Thanks to John Knight for the info. 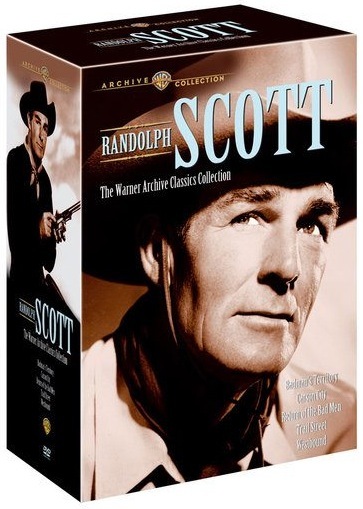 50s Westerns DVD News #74: Randolph Scott — The Warner Archives Classics Collection. Badman’s Territory (1946) I’ve always liked the chemistry between Randy and George “Gabby” Hayes, and this may be their best picture together (though I’m a big fan of 1950’s Caribou Trail). Lawrence Tierney’s also on hand. Trail Street (1947) casts Scott as Bat Masterson. Robert Ryan and Gabby Hayes lend support. Ray Enright directs, with an emphasis on action and pacing. Return Of The Bad Man (1948) adds Robert Ryan as a very nasty Sundance Kid to the Randolph Scott/Gabby Hayes mix. Carson City (1952) is a good one from Andre De Toth, which has been covered here before. The transfer’s gorgeous, showing that WarnerColor isn’t the end of the world. It was the first picture in WarnerColor, by the way. Westbound (1959) stirs up a bit of controversy among 50s Westerns fans, since it’s a run-of-the-mill Scott picture that happens to be directed by Budd Boetticher. Scott owed Warners a picture and asked Budd to help him make the most of it. If you can come at it not expecting another Ride Lonesome (1959), you’ll really enjoy it. 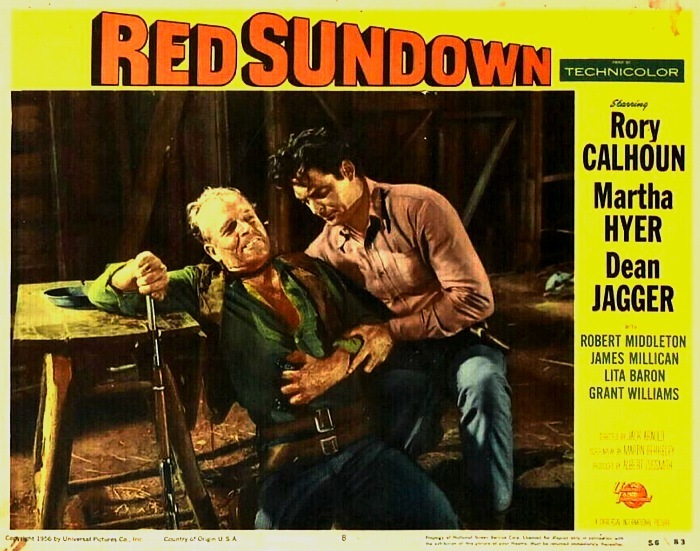 A Look At Red Sundown (1956). 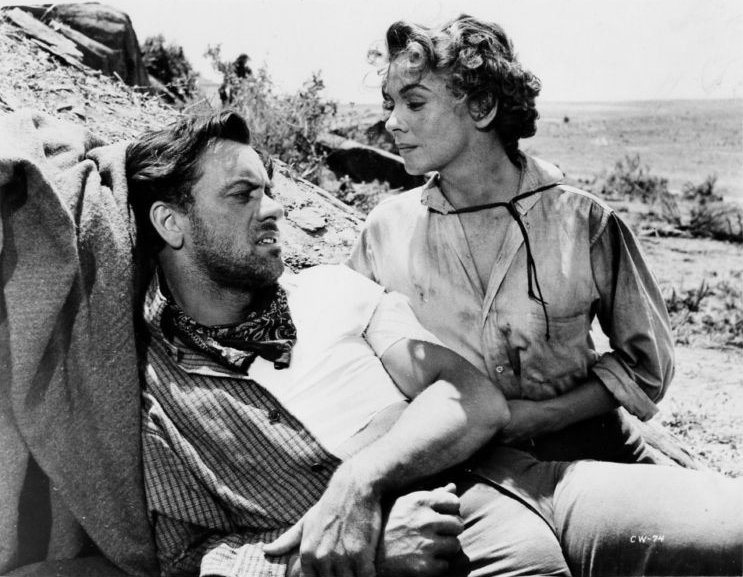 Red Sundown (1956) is a better-than-average Universal Western (of course, they’re all worth seeking out). Much of what sets this picture apart is the direction of Jack Arnold, a master of medium-budget, contract film-making. But it’s pretty inventive across the board, as this sequence (one of my favorites in all of 50s Westerns) makes clear. 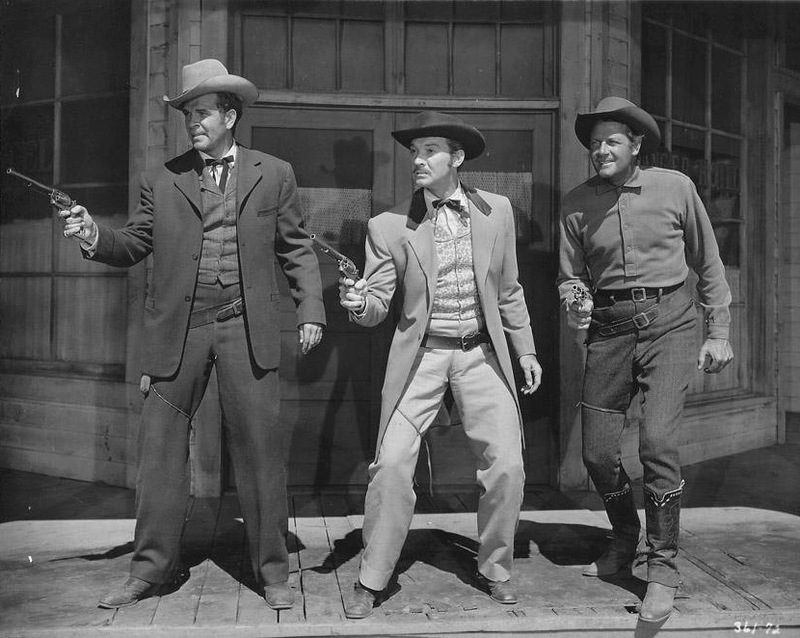 Gunslingers Alec Longmire (Rory Calhoun) and Bud Purvis (James Millican) are on the run from a posse (led by Leo Gordon) after Alec shoots a ranch hand in self defense. They take refuge in a small cabin and are quickly surrounded. Buck tells Alec how he’d like to hang up his guns and settle down. It’s not long before the shooting starts and Bud is gut shot. Then the ranch hands decide to burn the gunfighters out. Bud comes up with a plan to save Alec’s life. 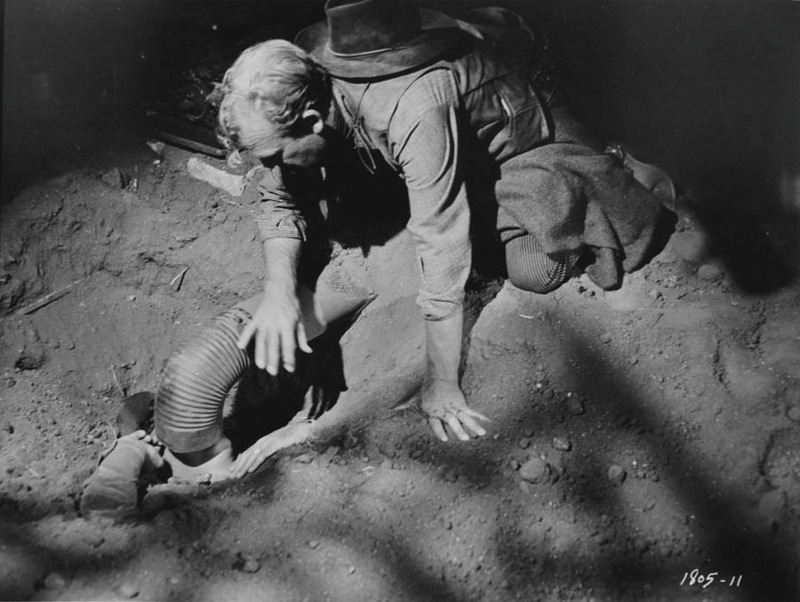 Bud helps Alec bury himself in a shallow trench in the cabin’s dirt floor, using the stovepipe for air. Alec reluctantly agrees to the plan, and Bud makes him promise that if he survives, he’ll quit living by his guns. 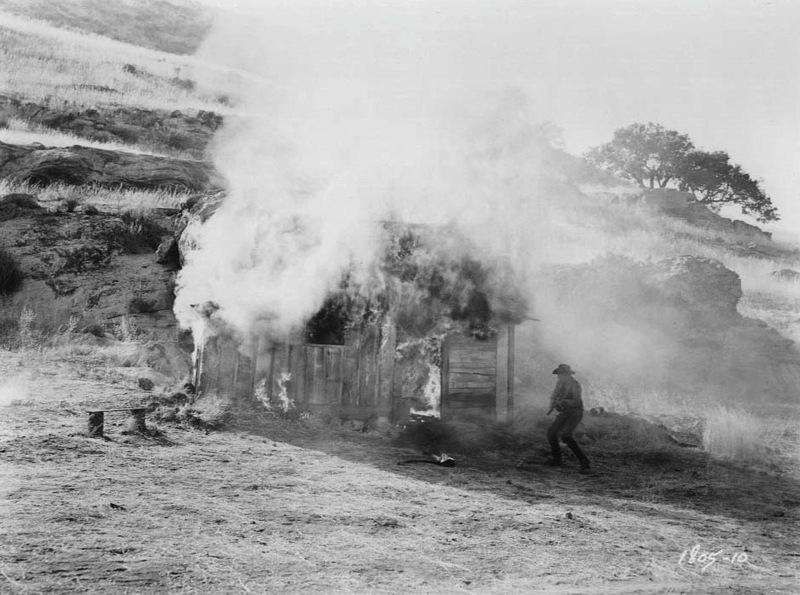 With Alec concealed and the cabin an inferno, Bud runs outside and is gunned down. Once the fire dies down, the ranchers assume Alec has burned to death and ride away. Alex does indeed try to hang up his guns — but we all know how hard that is. Briskly directed by Arnold, you never get a chance to think about how implausible it all is. A very memorable sequence — pulled directly from its source novel, Back Trail by Lewis B. Patten. I Can’t Find How The West Was Lost. I’ve heard good things about Rich Hall’s BBC4 documentary How The West Was Lost (2008) — a look at the Western genre and what happened to it. Anybody seen it? if so, what’d you think? Then, does anyone know where a copy of this thing can be found? Wonder What Guy Madison Was Up To 58 Years Ago. 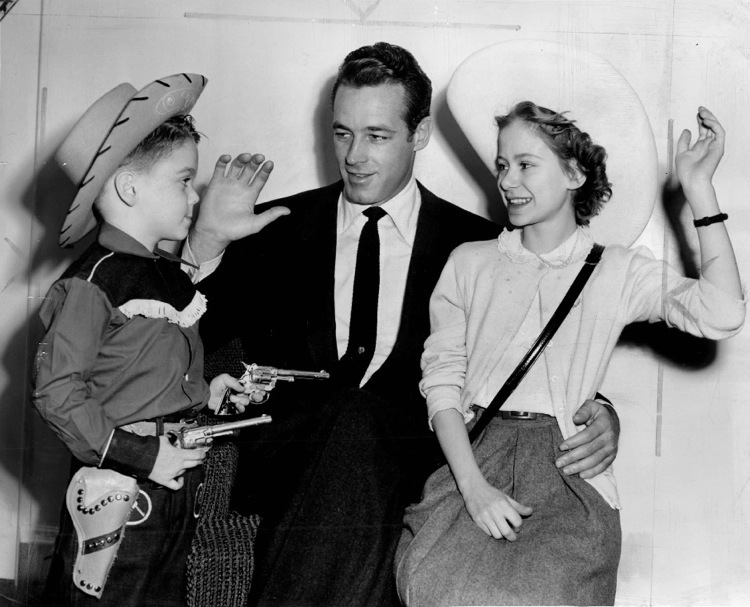 While the photo caption references Madison’s Hickcok show, The Command (1954) — with Madison starring in the first CinemaScope Western — had just opened. By the way, The Command is a good, if minor, Western — worth seeing for James Whitmore alone. It’s available from Warner Archive. Any experts out there recognize Dickie’s two-gun rig? Who needs blackouts? Around here, we defend our copyrights with lead. Don’t know about you, but I’m sick of this whole SOPA/PIPA thing. The issue of copyrights and the Internet is a big deal, for sure, but a goofy blog about old cowboy movies doesn’t seem like the place to tackle it. Especially when there’s a discussion going on of South Of Saint Louis (1949) — to be more topical, for today we’ll call it SOSL. 50s Westerns DVD News #67B: The Joel McCrea Westerns Collection. 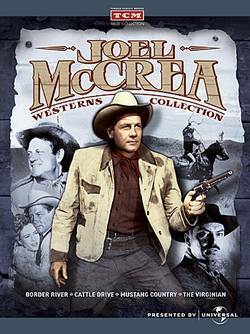 For 50s Westerns fans, the Joel McCrea Westerns Collection has to be one of the biggest video releases of the year. We first heard it was coming in early December. There were no titles listed, and it was kind of assumed we’d be seeing the six pictures McCrea made for U-I from 1950-54. Well, we were right. Sorta. Almost. Colin pointed out this morning that it’s been officially announced, with a release date of April 2 from TCM. The contents of this much-anticipated set, now that they’re finalized, has me scratching my head a bit. 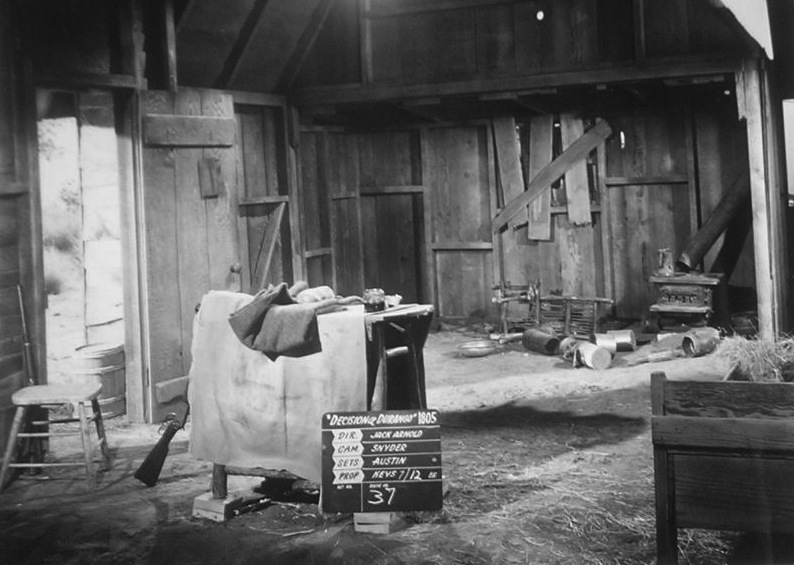 Two of the six 1950-54 films are there: Cattle Drive (1951) and Border River (1954). Then there’s The Virginian (1946), which is already available from Amazon’s Universal Vault Series, and Mustang Country (1976), which would be McCrea’s last film. This leaves Universal with four very good pictures to make up the Joel McCrea Westerns Collection Vol. 2. Let’s hope this first one is successful enough to make the second worthwhile. And now that we’re on the subject, where’s the Audie Murphy Westerns Collection Vol. 2?